K'nex 35 Model Ultimate Building Set Only $12.63! You are here: Home / Great Deals / Amazon Deals / K’nex 35 Model Ultimate Building Set Only $12.63! 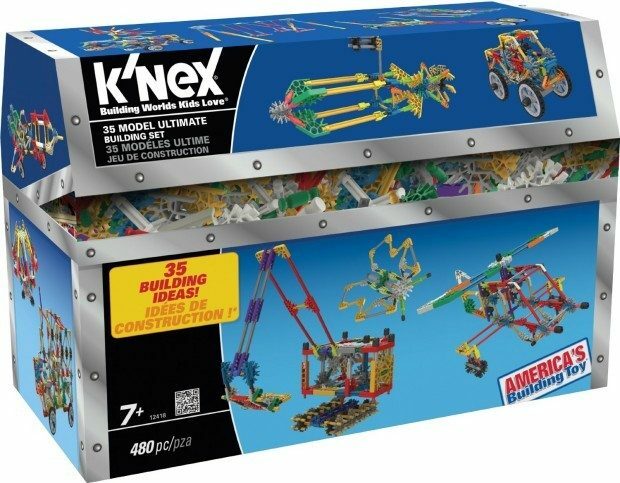 K’nex 35 Model Ultimate Building Set Only $12.63! Prime members check out this exclusive deal! Get the K’nex 35 Model Ultimate Building Set Only $12.63! This is a fantastic deal on this highly rated building set! Build all 35 models or anything you can imagine with the 35 Model Ultimate Building Set! This 480 piece set includes building ideas for planes, trucks, animals and amusement park rides and more! Set includes a convenient storage treasure chest, large enough to fill with other K’NEX sets! All Rods and Connectors are Made in the USA. Recommended for builders ages 7+.